Getting older, suffering injuries, and the constant strain of gravity – they all lead to degenerative changes in your spine and your entire body. You may be surprised to learn that even conditions like disc herniations can be a regular part of the aging process. So how do you slow down father time and move on from those pesky aches and pains as you get older? No one likes giving up their hobbies and interests due to pain. Some people just think it’s part of getting older, but we’ve seen 70 and 80-year-olds still surfing, golfing, and doing yoga every day. How do they stay so active, when others are debilitated by conditions like disc herniations? The answer may surprise you. Remember your body is designed to be healthy, sometimes it may just need a little help. Chiropractic patients have been shown to have a higher perceived quality of life than those not under care. Chiropractic care provides just as much improvement as surgery for disc herniations. Adjustments provide MORE pain relief than injections. Millions of people are staying active late in their life using Chiropractic care. Not only do Chiropractic adjustments help to reduce pain, but they also have the potential to slow down the degenerative process on the spine, effectively slowing down father time. Now that’s what I call smart healthcare. Get well and stay well by taking a proactive stance with your healthcare. Eating right, having fun, staying fit, and getting adjusted are all things you can do now to slow down the degenerative process of aging. 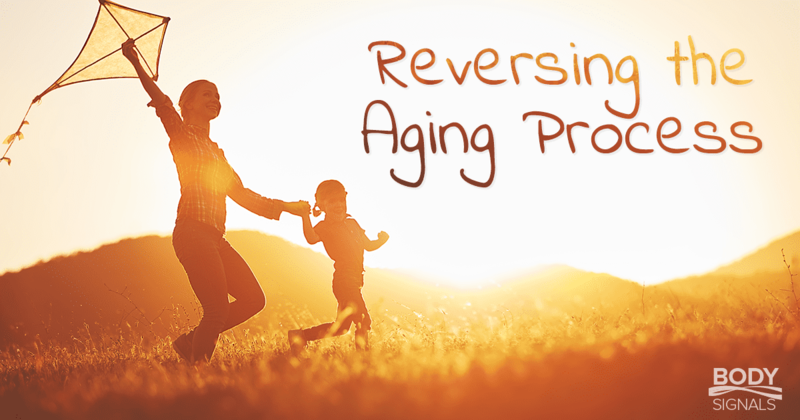 And while we may never be able to reverse the aging process entirely, we can make smart decisions to improve our quality of life and enjoy the time we have to its full potential!